There is no denying that there is a shortage of quality RTS games in the gaming scene. Particularly ones that deal with something other than aliens in space. Company of Heroes is one such series that breaks that tradition, opting for historic tanks and a World War II setting rather than the typical sci-fi fair. The latest from Relic, Company of Heroes 2 is shaping up to be quite a solid game. Fortunately, we have all had the opportunity to play for it a bit, because the game has been in a free open beta. The best part about the beta is that your stats for multiplayer will carry over to the full version of the game. Speaking of multiplayer, there is a new trailer up on the internet that showcases the different game modes of Company of Heroes 2. Take a look at the video at the end of this article to check it out for yourself. In the beta, you can play with an ally and try the co-op for yourself, or go up competitively against an enemy. 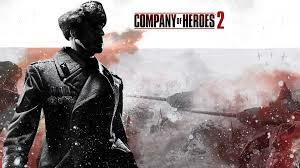 Lastly, today, the E3 demo for Company of Heroes 2 has been added to the beta client itself. When you start up the beta, you will have the option of playing a single player level that is actually a part of the campaign at large. The mission is called "The Land Bridge to Leningrad," and is part of a level that will be found in the full version of the game. You can download the game straight from your Steam client, or by following this link.